More developments about the sequel to the popular Wedding Party movie have continued to surface as the actors and other technical crew members storm Dubai for shooting. Adesua Etomi who is known as Dunni Coker in the Wedding Party movie was earlier reported to be pregnant as part of the film script. 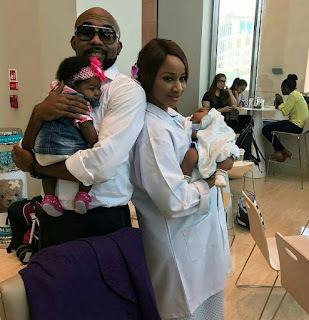 The beautiful actress gave birth to twins as part of the plot in the film that focuses on her marital journey with her husband, Dozie Onwuka, played by popular R&B singer, Banky W.
A leak from the movie shoot as seen above shows Dozie and Dunni both carrying each of the pair of twin babies in the hospital. 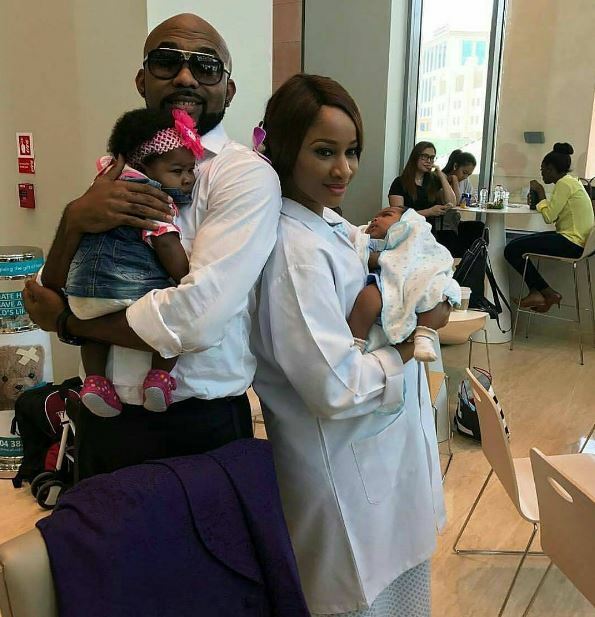 In reality, Banky W and Adesua Etomi are currently engaged and expected to get married later this year.